Description: Shabow moved to Australia when he was young, picking up the sport at an early age. 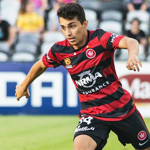 After progressing through the Wanderers youth setup, he failed to hit any notable heights with the first team, before leaving the Wanderers to join the Newcastle Jets. Disgraceful day in our club's history if true. How's Devante Clut going at the Jets these days? Gone. 2 year deal with Jets. We'll always have the pirouette at Gosford. Which we all watched from the Leagues club. Sad news for Mario and his family. He won't be playing as his father passed away. 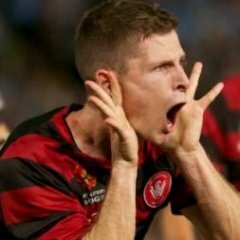 Mario Shabow will not be joining the A-League squad as they travel to Sydney this afternoon, as he joins his family to mourn the recent passing of his father. The thoughts and prayers of everyone from the Newcastle Jets are with the Shabow family during this very difficult time. Off to the Mariners apparently. Aspro will have a mate. 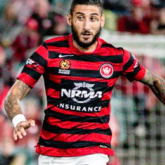 Half their squad are ex-WSW players. Half their club comes from the West, they're always hanging out around local grounds scouting players. ******* hate them for it, and hate them for signing OUR Mario. Usual sort of bellend on Facebook going on about this proves A league is a joke for constantly recycling players. Nabout took a couple of clubs before he found his way. Youlley is in South Africa. Goal on debut for the Mariners with his first touch. Do you think he knew anything about it? I think he knew he touched it.